The George Washington University Law School is the oldest law school in Washington, DC. The school is accredited by the American Bar Association and is a charter member of the Association of American Law Schools. 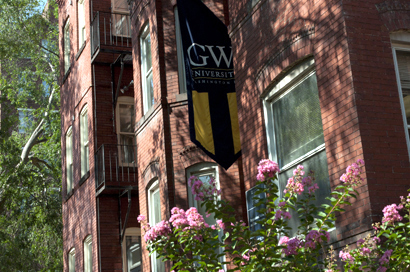 The Law School is located on the GW campus in the downtown neighborhood familiarly known as Foggy Bottom. The Law School has a total enrollment of about 2,000 students. Approximately 1,400 students are in the full-time division for the J.D. degree and 300 are enrolled in the part-time division. 300 students, many from abroad, are enrolled in graduate law degree programs. The Law School counts among prominent alumni the late John Foster Dulles, the late J. William Fulbright, and the late U.S. Senator Daniel K. Inouye ; former Attorney General William P. Barr, former Treasury Secretary John W. Snow , and U.S. Senator Harry Reid.